What is Masonry ... ? Is masonry a religion or a cult ... ? It is neither. The Scottish Rite and Symbolic Lodge Masonry does not espouse the belief of any one religion, but are a respecter of all major moral religions of the world. Scottish Rite and Symbolic Lodge Masonry have never inferred nor stated that their edifices were to be houses of worship, but places where every good man's religion would be equally respected and persecution for one's religious beliefs would not be tolerated. Who may become a mason ... ? Freemasonry has always welcomed men of all faiths and religious beliefs to enter its doors. The only requirement is for good men to believe in the Supreme Architect and the immortality of the soul. This faith we take to be the outward and visible sign of an inward and spiritual grace. And it is from this internal moral foundation that Freemasonry labors to make good men better by building within each Brother of the Craft a Temple of good works and ethical achievements. Is masonry a secret society ... ? Absolutely not. Masonic markings appear on Masonic Temples. Masons wear Masonic jewelry. Meetings are advertised in newspapers. Books in libraries and book stores cover all phases of Freemasonry. Masons do enjoy disctinctive means of identifying each other as a way of testing knowledge of the work. How did masonry begin ... ? Masonry is ancient, having existed in some form for so long that many serious students have differed as to the time and place of its origin. There is evidence of a basic type of craft association which antedates the Christian era. It survived various transitions which took place during the Middle Ages. Freemasonry was established in England in 1717. Since then its lodges have spread to free countries throughout the world. When Freemasonry reached the shores of the New World in the early 18th Century, Masonic Lodges produced leaders who would make a lasting impact upon our emerging nation. Of the thirty-nine men who affixed their signatures to the United States Constitution, thirteen were Masons. George Washington and Benjamin Franklin were members of Masonic Lodges, as were thirteen of the American Presidents who would follow, including Franklin Delano Roosevelt, Harry S. Truman and Gerald Ford. Where does masonry fit into modern society ... ? A Mason is bound by an oath to build his own character as carefully as ancient stonemasons built the great pyramids of Egypt, and the cathedrals of Europe. But quality of character is not enough. Masons also believe in practicing their beliefs through helping the less fortunate in our society. The more than 3,500,000 Masons in California and Hawaii and throughout the other forty-eight states have made possible the expenditure of $1.5 million each day to support and maintain a variety of philanthropic activities. Freemasons finance medical research in childhood language disorders and in diseases of the eye. They provide college scholarships for needy and worthy students. Twenty-three hospitals are operated throughout the country by Shrine Masons for crippled and burned children. And Masons maintain an unique care system for aged Masons, their widows, and children. What is meant by "immortality of the soul" ... ? "Immortality of the Soul" refers to the never-ending existence of the individual's consciousness-energy, or that portion of the person which is the unalterable "I Am." One can believe in a great many things, which may exist as truth, and then again, may not. But one's "knowledge of self" (spiritual essence) is the truth (reality) of one's existence. "Soul" is the embodiment of that spiritual essence, or truth. All of the organized moral religions of the world teach that the "spiritual essence" (soul) of human beings is immortal. Freemasonry embraces those teachings as being evident of the existence of the Supreme Being, Creator of Consciousness and Grand Architect of the Universe. Morality refers to the character of being in accord with the principles or standards of right conduct. Freemasonry, which also embraces those values, attempts to make good men better by reinforcing the characteristics of morality and virtue, through ritualistic fellowship and sharing. Can women become masons ... ? No. However, Masonry is for the whole family. 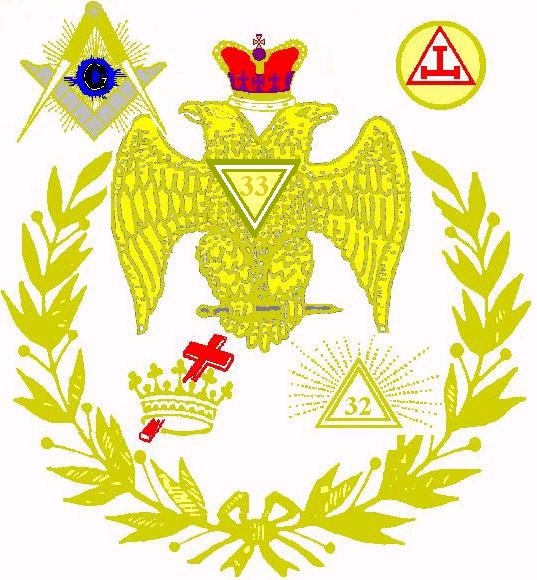 Masonic affiliated organizations which teach similar values, include Eastern Star and Amaranth, which include ladies; Jobs Daughters for girls aged 11 to 20; Rainbow for girls aged 12 to 18; and DeMolay for boys and young men aged 13 to 21.